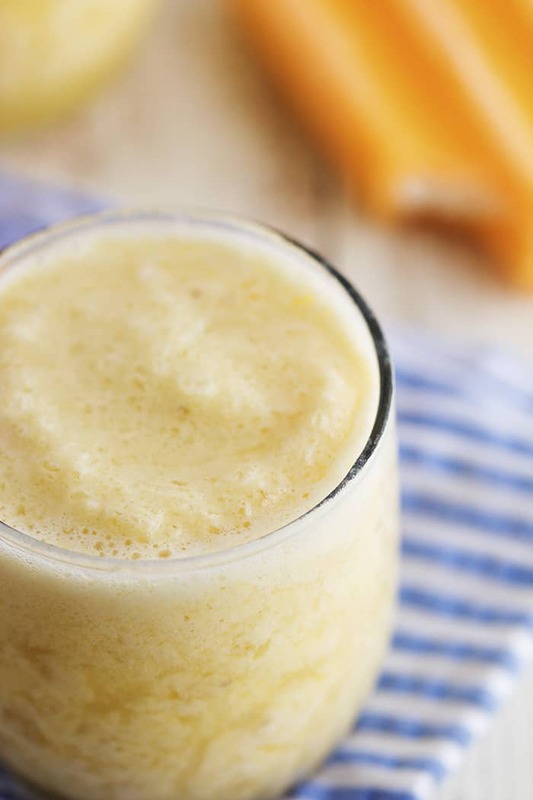 This creamy orange smoothie has no added sugar and a secret ingredient. It tastes just like you are biting into a creamsicle! The family is sure to love this one! 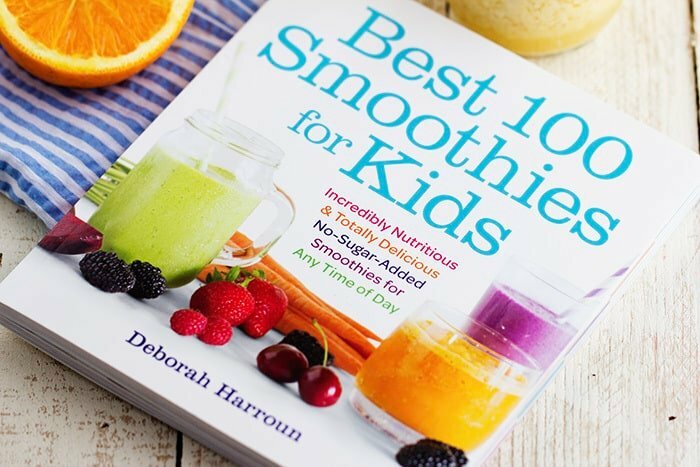 My friend over at Taste and Tell just released her newest book, Best 100 Smoothies for Kids. I couldn’t wait to get the book because we love smoothies over at our house. As soon as the book came, my kids spent a good hour looking through it and picking out ones that they wanted to try. Smoothies are such a great way to pack in the nutrients that kids need. Since my kids aren’t big on eating fruits and vegetables, it is a great way to sneak them in. Every single smoothie sounded delicious in her book and looked so mouthwatering. I love how she has breakfast, lunchtime, snacktime, dessert, and even bedtime smoothie ideas. This book is packed with so many delicious and nutritious smoothies that you are going to love! I have come down with a cold and one smoothie that we all could agree on was the Creamsicle Smoothie. We love creamsicles at our house. And they remind me of summer eating them in the back yard. The creamy center of a creamsicle is the best part! I love how all of the smoothies in the book are naturally sweetened with no added sugar. 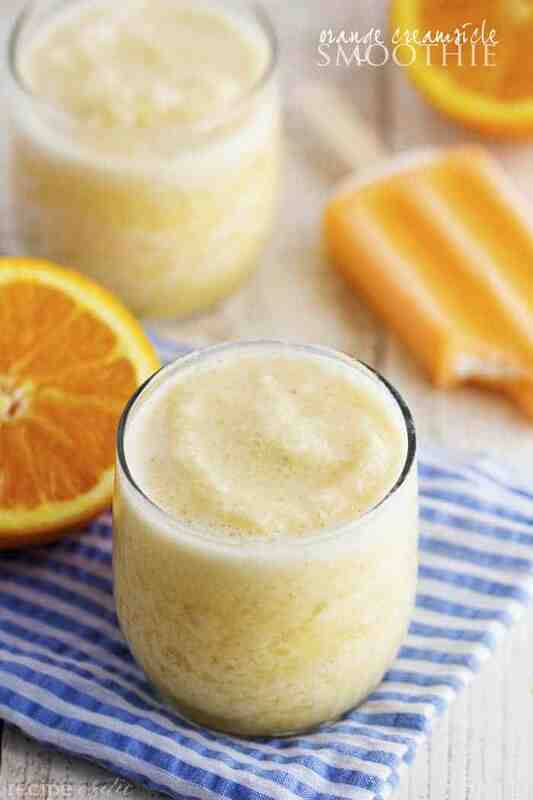 This Orange Creamsicle Smoothie tasted just like a creamsicle and was absolutely amazing! I gave me that boost of vitamin C that I needed and felt so good on my sore throat. I loved how a banana was used as a secret ingredient in this and my kids couldn’t even tell! It was delicious. 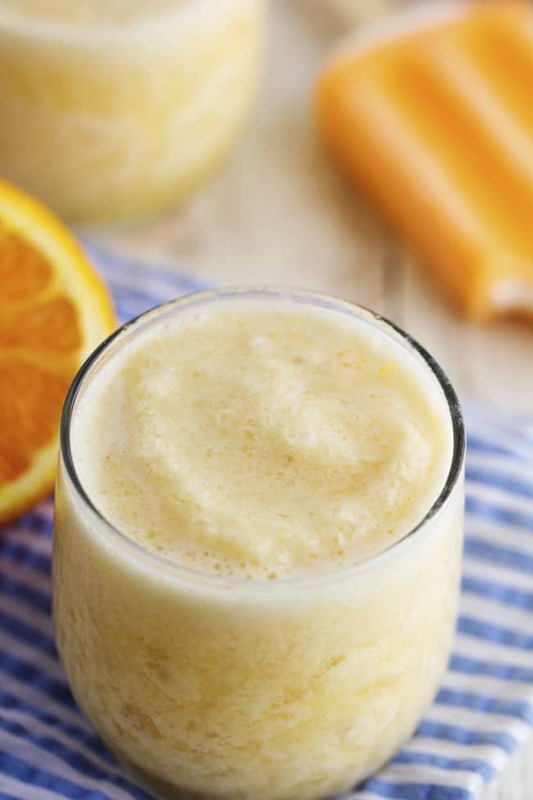 I know that you guys will enjoy this Orange Creamsicle Smoothie just as much as we did! It is perfect for the summer and is so healthy and nutritious. Not to mention it tastes amazing. A total win in my book! In a blender, combine the orange juice and milk. Cut the banana into slices and add it to the blender along with the vanilla. Top with the ice cubes and blend until smooth. I really wanted to like this, but I couldn’t taste anything but COLD. The kids ate it, but they happily eat every smoothie I make. I prefer to pack more vitamins into my smoothies too. I’m so glad you have been enjoying the book, and that your kids have, too!! Thanks sooo much for sharing! !